Here at Athens Ford, we are Ford Certified Professionals. You will not find anyone more qualified in the area that can repair and provide maintenance for your Ford vehicle. All of our team members are trained and certified in Ford factory instruction so your vehicle will be repaired and maintained in the way that the manufacturer intended. All of our team members are also qualified in using the dedicated equipment needed to properly analyze Ford vehicles. This is important because if you go somewhere else without the proper device and they diagnose your vehicle incorrectly, then you could end up paying a lot of money for an unnecessary repair and the need to fix it again later. Here at Athens Ford, we will properly diagnose your vehicles every time as part of our guarantee. We firmly believe the quality of your vehicle’s parts is fundamental to driving performance. Your Ford vehicle was originally engineered with authentic factory components. Each of these parts was selected for optimal durability and reliability to provide you with years of drama-free driving. Athens Ford aims to prolong this elite performance by strictly using original equipment manufacturer components and parts. Genuine Ford products have a warranty that is two-fold: the part and the service are both covered. If a part falters or if one of our service technicians errors, the factory’s warranty will kick in. The bottom line is Athens Ford is committed to using parts and components specifically designed for your Ford model to ensure your safety and satisfaction. Ford vehicles are built to stand the test of time. However, every Ford eventually requires maintenance or repairs. The group of automotive professionals you select for service is of the utmost importance. 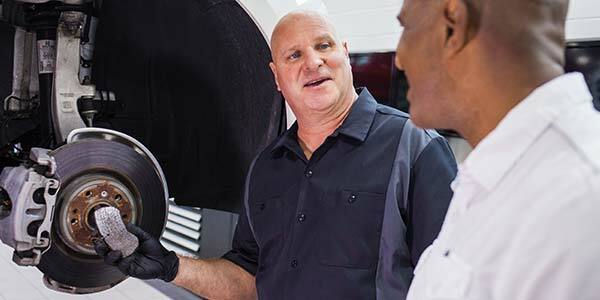 Athens Ford has the qualified mechanics you are looking for. Each of our team members are fully certified and trained. Our automotive experts have passed through Ford factory instruction. This means your vehicle is maintained in the exact manner specified by the manufacturer. We take great pride in the fact that each of our service staff members is qualified to use the diagnostic equipment for Ford vehicle analysis. This is important as an accurate diagnosis of your vehicle is essential to preventing subsequent problems and expenses down the line. Athens Ford makes sure each vehicle that passes through our doors is diagnosed, maintained and repaired in a flawless manner on the first attempt. In fact, we guarantee it.